Jaime Partners, the San Diego-based, highly regarded and experienced project management company, is announcing the successful completion of Celebrity Chef Kevin Roberts’ Kamikaze 7 sushi restaurant opening in San Diego’s Gaslamp Quarter in March 2013. Former Next Food Network Star contestant and host of BBQ Pitmasters, Kevin Roberts, selected Jaime Partners to manage his new 2000 square foot restaurant project, Kamikaze 7, set to open to the public in Downtown San Diego in March 2013. Roberts is also an executive chef, author and national spokesperson, most notably for Franks Red Hot and Yuengling Beer. In providing design management and construction management services, Jaime Partners completed the Kamikaze 7 project in a total of five months. Jaime Partners worked with Jennifer Bolyn’s architect firm, EOS Architecture, managing the construction process using owner’s representation services from inception to close out. In working closely with New York-based designer, Greg Okshetyn and his design firm, Studio GO, Inc., Jaime Partners also managed the design process and cost estimation of the project with successful execution. 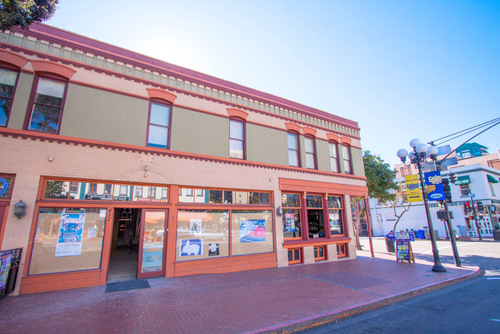 Kamikaze 7 is located at 411 Market Street in the Gaslamp Quarter. With 15 different types of sake bombs, a real scorpion roll, and samurai sword chandeliers surrounding the environment, Kamikaze 7 will be unlike any traditional sushi spot in San Diego. Jamie Partners embraced Kevin Roberts’ vision of an edgy, non-traditional sushi joint and successfully brought it to life from start to finish. With many more prominent restaurant projects in the works, Jaime Partners is gearing up to announce more successful restaurant completions in the next few months. Jaime Partners is the San Diego-based leading services provider for program, project and construction management services. With decades of combined experience in the development and construction of hospitality and food services projects. Founders, Alfredo Jaime and Rodolfo Farber, have made a name for themselves as leaders in local, regional and national hospitality projects. Jaime Partners offers clients’ program and project management services, as well as construction services that arise from extensive experience working as Owner’s representatives.